The exquisite flavors and aroma of restaurant style Shahi Paneer fully justifies its name as it is a real royal experience to our taste buds! My first trip outside India was quite memorable. Though I could not wander and explore Athens as much as I wanted to due to lack of company, but still the brief experience was so much enriching that I can ignore what I missed for the time being. And of course, I will come back to this amazing country and soak up in its beauty once again. Next time the added benefit would be that I will have my best friend’s company who is incidentally my better half too! This time thankfully I got a long weekend during my business trip to Athens and that is why I got a chance to spend a wonderful time with my brother who happens to stay in Zurich. 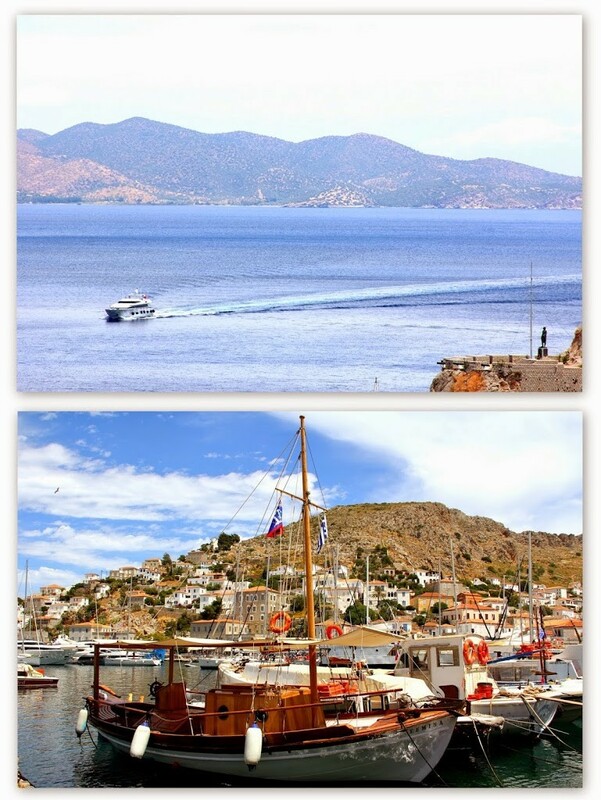 We explored couple of islands of Greece, Hydra being one of them which is an amazingly beautiful place where even a week’s time of vacation won’t be enough. You will simply want to be lost by the deep blue Aegean Sea and walk leisurely by the coast lined with beautiful boats and yachts. Such experiences are hard to describe in words. May be a picture can help to take a peek! An interesting fact about Hydra is that it’s an eco-island where the only mode of transport is donkey as cars or bikes are not allowed by law. Isn’t that awesome! With my Greek experience, let’s come to today’s recipe – 3rd in the row of Paneer series – the restaurant style Shahi Paneer! ‘Shahi’ literally means ‘royal’ and according to me this is an absolutely apt name. 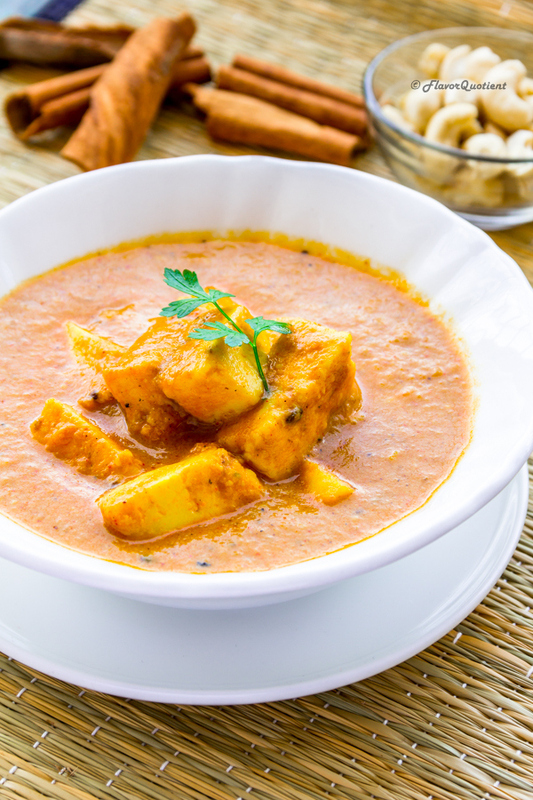 This restaurant style shahi paneer is so rich and aromatic with the Indian spices and especially due to the addition of creamy almond/cashew paste, it is nothing less than a royal treatment to your taste buds. 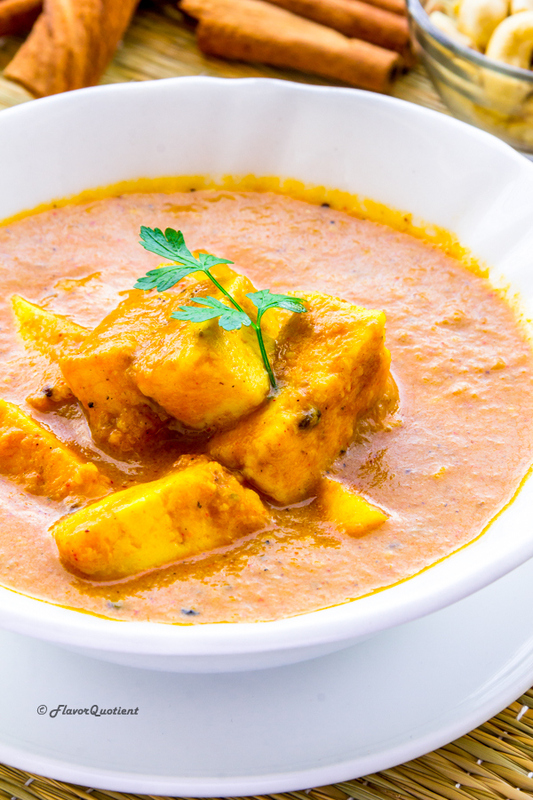 This restaurant style shahi paneer is definitely one of the most ordered dish in any Indian restaurant across the country and it is bound to be any vegetarian’s delight! 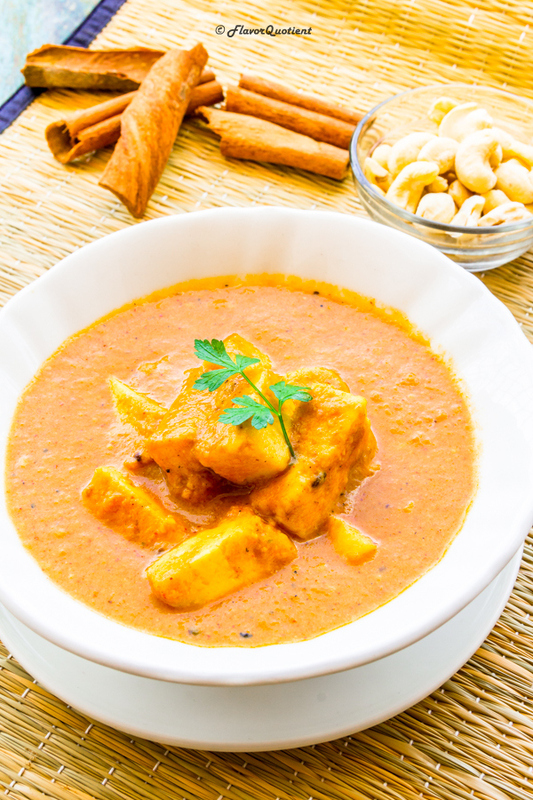 You may be surprised to know that you can easily create the silky smooth restaurant style shahi paneer gravy at home. 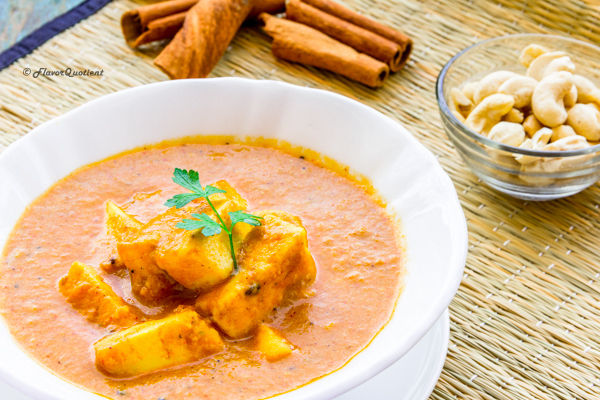 The richness of this restaurant style shahi paneer is derived from the cashew or almond paste. I have tried both and each version is equally good, so you can use whichever you have at hand to create this magical restaurant style shahi paneer at your own cozy kitchen and delight everyone with your culinary skills! Happy cooking! If using store bought paneer, simmer them for couple of minutes in boiling water. I do this step as it makes the cottage cheese quite soft. After two mintes, drain the water out and set them aside. In a skillet, heat 2 tbsp oil. Once the oil is hot, temper it with cloves, cardamom and cinnamon. Stir them till they are fragrant. Add the grated ginger and garlic stirring continuously since garlic tends to burn very easily. Tip in the chopped onion and green chilies. Sauté till the onion turns soft and golden brown. Now transfer this mixture to a blender and blend it to a smooth paste. Heat the remaining 2 tbsp oil in the same skillet and add the onion paste. Cook till oil separates. Now add the almond paste and stir to mix well. Add the tomato puree and sprinkle some salt along with all the powdered spices – turmeric, cumin, coriander and cardamom powder. Cook until the raw smell of tomato puree disappears for around 10 minutes. Drop in the paneer cubes and stir gently so that the cheese cubes are coated well with the spice mixture. In case the gravy turns too dry add half a cup of water and give a gentle stir. 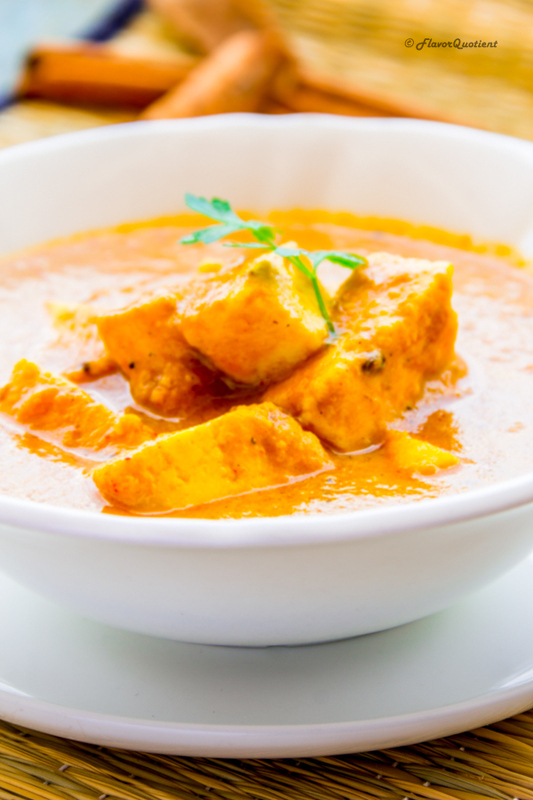 Let it simmer for 5 minutes so that the paneer absorbs all the flavors from the aromatic spices. Once the gravy has the desired consistency, remove from heat. Garnish with mint leaves and serve hot with roti or naan. Shashi paneer looks mouth-watering Priyanka!